Visit MyBroadway.com to see the reactions of the SOUTH PACIFIC Tony Winners directly following the awards on June 15, 2008. The musical won in seven categories, the most awards a Musical Revival has ever received in Tony history. 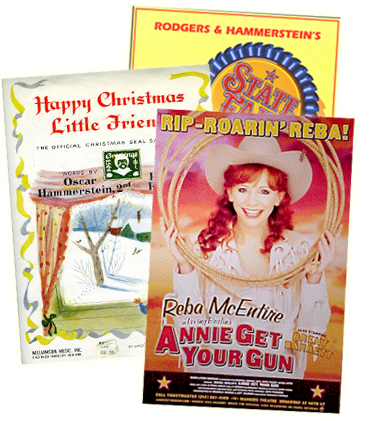 The awards included Best Revival of a Musical, Best Performance by a Leading Actor in a Musical (Paul Szot), Best Direction of a Musical (Bartlett Sher), Best Scenic Design of a Musical (Micheal Yeargan), Best Costume Design of a Musical (Catherine Zuber), Best Lighting Design of a Musical (Donald Holder) and Best Sound Design of a Musical (Scott Lehrer). To learn more about the Lincoln Center Theater production of SOUTH PACIFIC, visit www.southpacificmusical.com. Bring home SOUTH PACIFIC today by ordering the South Pacific New Broadway Cast Recording and The South Pacific Companion Book.